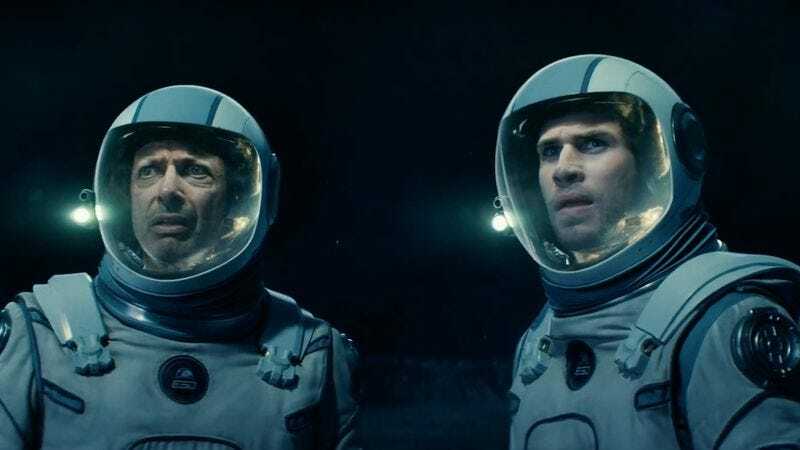 Independence Day: Resurgence, which hits theaters next week, is Roland Emmerich’s long-awaited sequel to his popular 1996 film that welcomed extraterrestrials to Earth with a knuckle sandwich. 20 years have passed since the original premiered, but it seems that time was needed to sort out some details and strengthen the premise. In his capacity as Empire’s guest-editor, Roland Emmerich has just revealed the original “feel-good” idea for the film (which was scrapped), along with his plans for Independence Day 3. Emmerich dutifully answered questions from readers about the sequel, including the original idea for the plot he workshopped with his Independence Day co-writer Dean Devlin in the early aughts. They “wanted to make the movie about peace” following the 9/11 attacks, but it “just didn’t work.” It sounds like the sequel was initially going to involve a pretty big gaffe on humanity’s part. Talk then turned to the Stargate remake or sequel Emmerich announced he was working on back in 2014. When asked if the TV series would play into the remake’s plot at all, Emmerich said “elements of it will flow into the reboot, definitely.” But the reboot will focus on a larger—and younger—cast of characters.